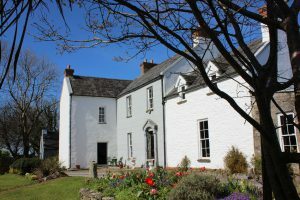 OldChairs.ie - We run weekend restoration courses. We also sell and restore antique furniture and seating. We are Pepie O’Sullivan and Nigel Barnes. We have a passion for quality materials and workmanship and we understand all aspects of chair restoration. 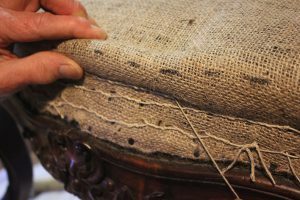 For years we have given tuition and and run courses on antique furniture restoration and upholstery, and also clock repair, gilding and chair-making. 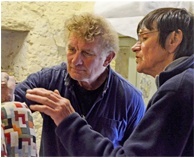 Although we are retired as restorers we will continue to run the weekend courses. We offer quality chairs and furniture for sale. All restored by us and part of our private collection; we no longer upholster chairs as a service. 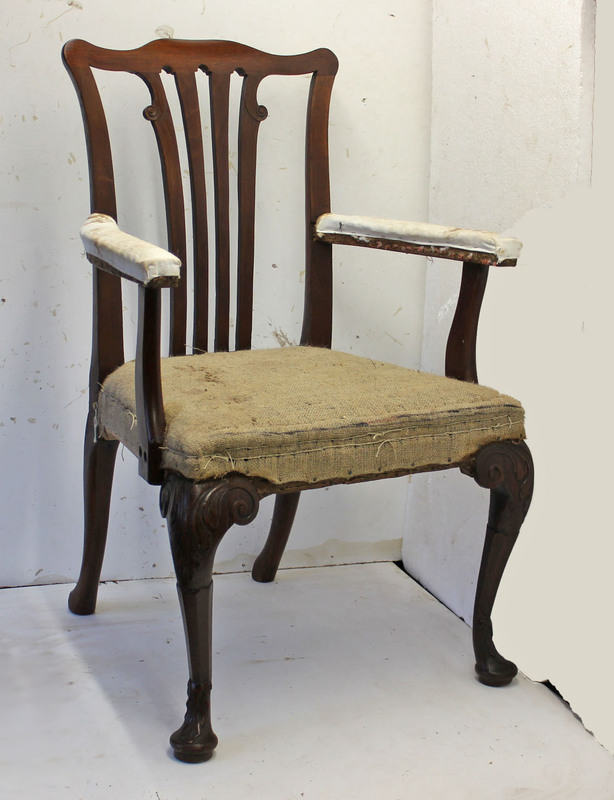 Before recent retirement we offered restoration and re-upholstery services for antique chairs. That work included replacement of missing or damaged parts, veneers, French polish and finishes, woven cane, súgan and rush seats. We run weekend antique restoration courses. We are now selling our private collection of antique chairs. We aren’t antique dealers; we do antique chair restoration – we specialize in Antique chair restoration. 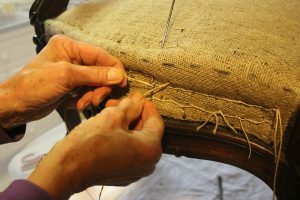 Up until our recent retirement we were restorers and conservators specializing in antique chair restoration. 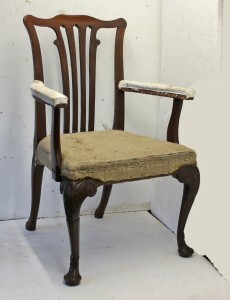 We think that all restoration including antique chair restoration should be appropriate to the particular piece. Sometimes the conservation approach is a consideration, especially for rare and valuable items. We acquired extensive knowledge and experience restoring furniture and seating using traditional methods. 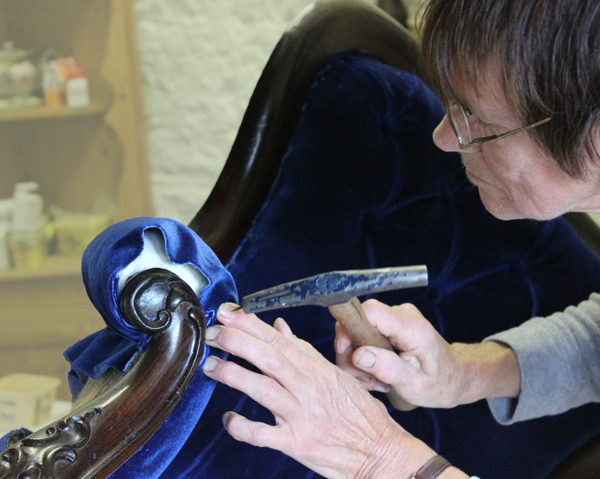 We give tuition and run courses on all aspects of antique furniture restoration. That includes woodwork, French polish and upholstery. 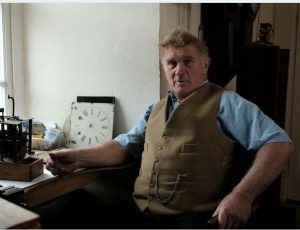 In addition we run courses in clock repair, clock case repair and country chair making. The restoration methods we have used over the years are basically the same as the original construction methods. We’re always happy to answer any question and queries to do with antique furniture and chair restoration. We also give advice about furniture styles, dating, market values and trends. Contact us if you need advice about restoration or traditional upholstery. We don’t repair modern furniture and we don’t re-upholster modern couches and chairs. 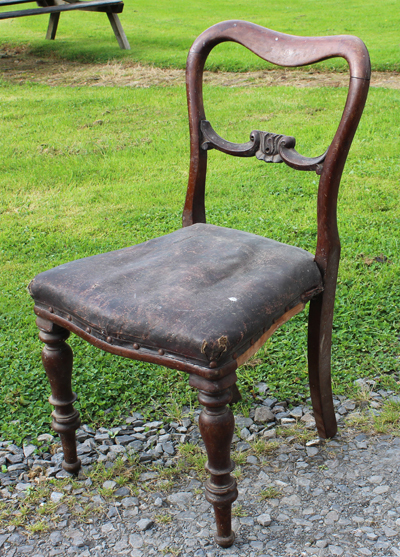 If your antique chair is a bit wobbly it could just need dismantling and re-gluing. The joints gradually loosen and blocks or braces that reinforce the corners often need replacement. For more serious cases Nigel will give advice about making up new frame components. We are happy to give advice about antique chair restoration but we no longer do the work ourselves.